PLNs, or Professional Learning Networks, have gained a lot of traction in education over the past few years, and with good reason. PLNs make it easier for teachers to seek out new ways to develop their craft. Sound like something that can't fit on a teacher's plate already piled high with IEP reports and other bureaucratic minutiae? Think again. 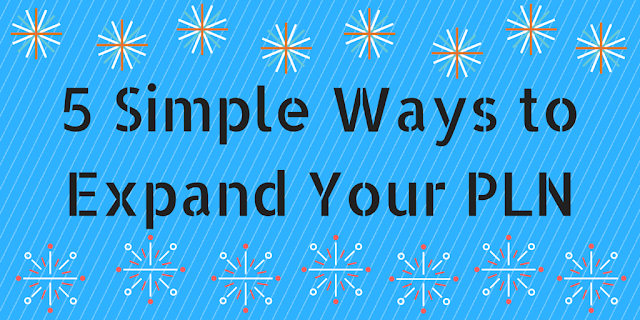 You actually already have a PLN. Think about it; you have your coworkers, department members, college classmates, college professors and staff/district teacher development specialists. If used correctly, each of these people could offer you a wealth of experience, strategies and methods. Many people assume (wrongly) that PLNs are only online. Well, as you can see, you already had a PLN before you even clicked your mouse. I have given multiple sessions on PLNs over the years. Ever since I discovered these wonderful fountains of knowledge, I have been a strong proponent of them. In this day and age, it is easier than ever to connect with other teachers across the globe. Recently, I heard a podcast from Visions of Ed (which, if you haven't subscribed to yet, I would highly recommend doing), in which the hosts, Dan Krutka and Michael Milton interviewed PLN expert Torrey Trust, who stated that any teacher who is not connecting with other educators online is doing it by choice. People I work with are always asking me where I get all my cool teacher toys from. My response is the same every time. I get them from my PLN! They are amazed at how easy it is. I'm not spending 10 hours a day searching the internet for the newest ed tech toys or social studies strategies. I simply aggregate all the information into a few tools that funnel all the information to me. Below are the five ways that I get my PLN to work for ME. Feedly is a feed reader. What this means is that Feedly aggregates all of my blogs into one easy to read "magazine." Actually, a personal newspaper might be a better way to describe a feed reader. I can access this reading list from my computer but I prefer the Feedly app. 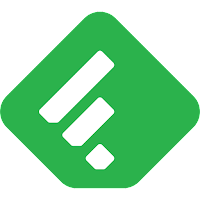 Feedly lets me organize all of my blogs in one place. Much like a newspaper, I have different sections where similar content is put together. For example, I have an ed tech section, a social studies section, a education reform section, a politics section and a photography section. Every morning, I sit at my table, eat my Cap'n Crunch and browse my own personal newspaper. If I see something that interests me (ie. a blog article about a new formative assessment tool or a new Google Apps for Education rollout) I can click it and read the entire article. This "newspaper" is refreshed every time one of my blogs adds new content. I can't tell you how many of cool tools that I discovered from using Feedly. For one of my PD sessions on PLNs I created the tutorial below (for those curious, I used canva for the design, ThingLink for the interactive buttons beneath the numbers and Google Slides for the actual presentation). 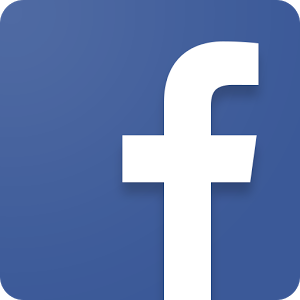 As of 2016, facebook has over 1.7 billion users. While facebook may have started out as a hip new way to communicate, it now mostly serves as a soapbox for your weird uncle to espouse his beliefs that Hillary Clinton is secretly a lizard person. That and a depository of cat and baby videos. However, there are other ways to have facebook work for you. Did you ever get the feeling that the ads you see on facebook were targeted to you? Did you ever wonder how they seem to know what you're interested in? It's simple really, most of the suggested articles and blogs on facebook are from pages that you have liked already. Some pages that I would suggest liking on facebook are ISTE, MindShift, the Stanford History Education Group (SHEG), and Edutopia. When you like a page, you'll start seeing their content on your wall. Facebook also targets paid ads specifically to you based on things you like so the more teacher stuff you like the more teacher ads you will see. I actually discovered Math Prodigy and ClassCraft through facebook paid ads. Another way to make facebook a valuable part of your PLN is to join groups specific to your content. For example, Social Studies Chat and the National Council of the Social Studies both have pages on facebook that you can visit and find resources and updates at. Finally, you can join facebook groups of specific classes that you teach. I know that there are pages for AP USH and AP WORLD history where teachers share strategies and resources. Twitter is not just a place to connect with friends in 140 characters or less. It is also a place where teachers go to connect with other educators, find new resources and share various methods. The best way for you to use twitter as a teacher is to find a twitter chat that is relevant to your interests or content. For social studies, the best twitter chat is #sschat. #sschat meets on twitter every Monday night at 7 PM. Simply log on to your twitter account and type in the #sschat hashtag and you can take part in a real-time conference between experts in your field. For more info about how to utilize twitter for maximum efficacy, see this Beginner's Guide to Twitter by Amber Coggin and this Teacher's Guide to Twitter by Edudemic. I have gotten so many great resources through twitter chats and met tons of master teachers there. Although our professional relationship is completely online, I still feel a deep connection with many of the educators I have met on twitter that transcends any separation by distance. An organic, participant-driven professional learning experience.A community created by educators, for educators.The leading edge of professional development in education. Edcamps usually include a catered breakfast and tons of great raffle prizes and give aways. The true prize of Edcamp however, is the sessions themselves. At these holistically developed PD sessions, teachers share resources, learn from each other and make life-long connections. If you attend Edcamps regularly, you start recognizing the people there. Edcamps are like a secret club that many educators have never heard of. Once you join the club, you'll be a convert for life. Summer is the perfect time to attend your first Edcamp. Go with a friend or go alone and meet some new friends. Adam Shoenbart from "The Shoenblog" has put together this Google Site of all the Edcamps (and other PD opportunities) happening around the world. Google +, much like facebook, is a social media tool that can be used to expand your PLN. One way to use this tool is to join Google + Communities. Communities are like facebook groups, once you join one, you will see their posts on your feed/wall. For example, since I work in a GAFE (Google Apps for Education) district, I have become a member of Google Classroom, Chromebook, GAFE, Google Drive and other Google related communities. If I need a tip or info about a Google product, I just visit the Google + community page and ask. If you're looking for a more personal level of PLN, you could create your own Google + community and invite selected people in your district to share targeted methods and tools that match your needs and resources. 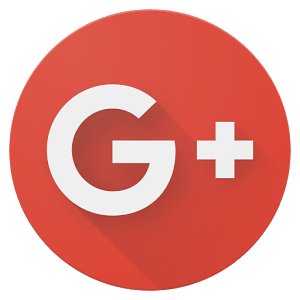 I would also recommend following some of the bigger names in education on your Google + account. That way, if they post something, you'll see it on your feed. For example, every time Richard Byrne from Free Tech 4 Teachers posts a blog, I'll see it on my Google + stream since I follow him. That's all I have for today. 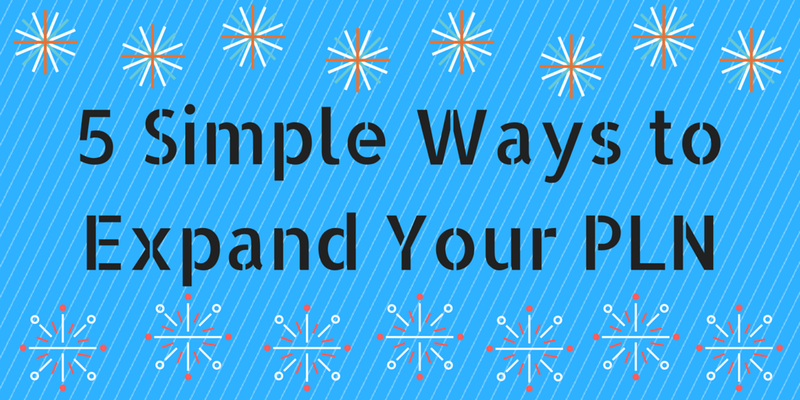 I hope I gave you some ideas of how to expand your PLN. Remember, you are not alone! There are millions of other teachers out there doing the same job as you. It is human nature to want to connect with others, especially those with the same passion for education that we have!! Good luck with your PLN!! !